IMPORTANT: This software is available only by performing an update via the Internet (network). In order to perform this update it's necessary to have the system connected to an active internet source. It's not possible to return to the previous software version after performing this update. Do not disconnect the speaker from the AC power source until the update process is complete. 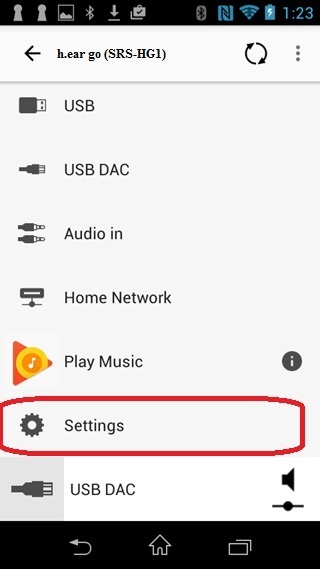 Do not turn off the speaker or disconnect it from the internet during the update process. 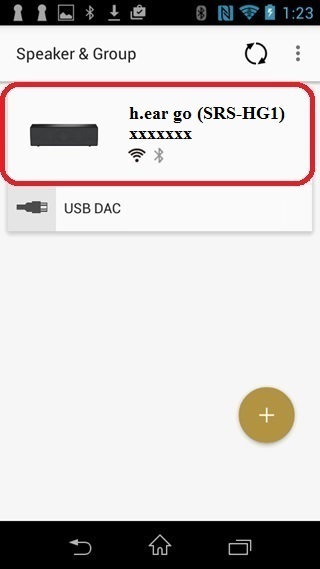 Connect the speaker via WiFi to the same network as the smartphone containing the SONY | Music Center (SongPal) application. At the Music Center screen, tap to select the h.ear go (SRS-HG1) xxxxxx device. 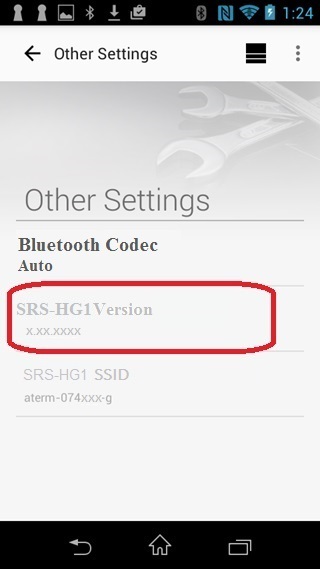 At the Other Settings screen, under h.ear go (SRS-HG1) Version, the current version number is displayed. If the version number is 5.03 or higher, the software update is installed. The software update process usually takes 3 to 10 minutes, depending on system configuration and your network internet connection. Important: If the power indicator on the unit keeps flashing in green even after pushing power button, push the RESET button located on the bottom of the unit. Connect the unit to an AC outlet by using the supplied USB AC adaptor and micro USB cable. Note: This update cannot be performed using battery power. Make sure the system is connected to an active internet (network) connection. For details, please see the instruction manual. If the speaker is turned on, press the (on/standby) button to turn off the unit. Press the (on/standby) button to turn on the unit. 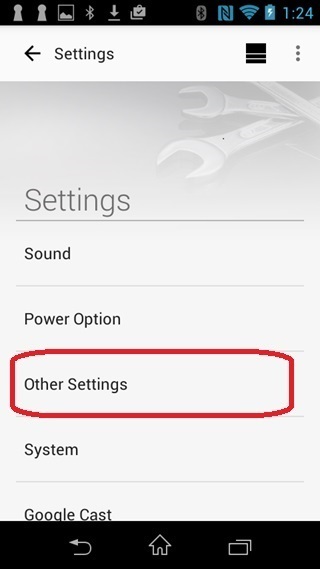 The UPDATE/WPS button automatically turns off and the speaker switches to standby or BLUETOOTH/Network standby mode after the update is complete. Press the (on/standby) button to turn off the speaker and then on again. 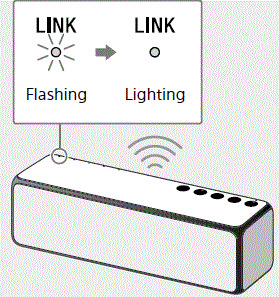 Make sure the speaker is connected to an AC outlet using the supplied USB AC adaptor and micro USB cable.